Polypropylene rope, repositioned and oriented around painted steel frame. 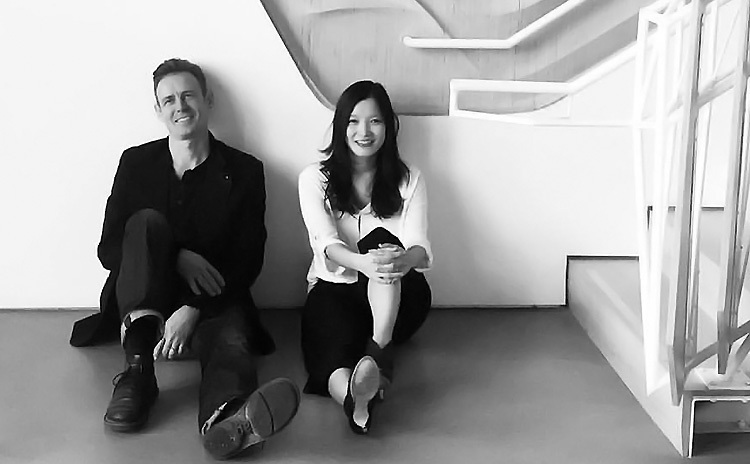 Dwayne Oyler and Jenny Wu established the architecture and design firm of Oyler Wu Collaborative in Los Angeles in 2004. The office has been published globally and is recognized for its experimentation in design material research, and fabrication. 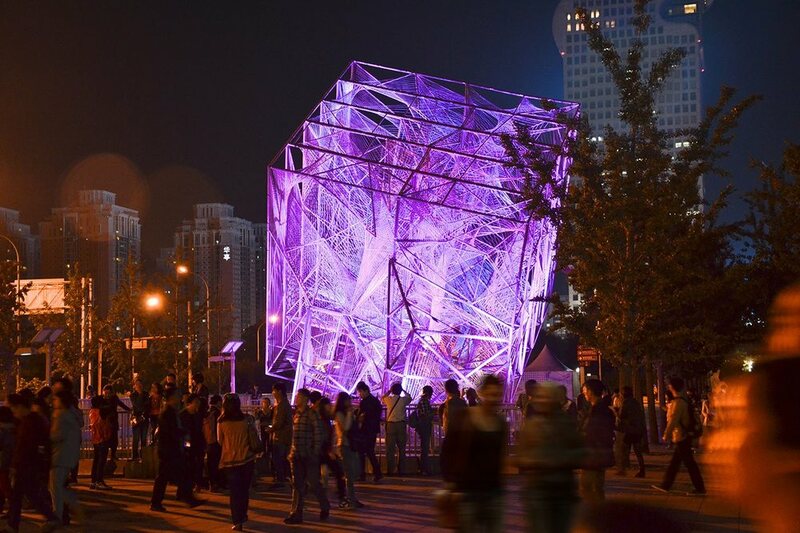 Their recent projects include Stormcloud, a pavilion commissioned for the 40th anniversary of the Southern California Institute of Architecture (SCI-Arc), the Cube, the winning entry pavilion for the Beijing Biennale, Taipei Sales Center, a 5-story commercial building, as well as a 16 story residential tower in Taipei, Taiwan. Both partners currently teach design studio at the SCI-Arc as well. The office has won numerous awards, including the 2013 Design Vanguard Award from Architectural Record, 2013 Emerging Talent Award from AIA California Council, 2012 Presidential Honor Award for Emerging Practice from AIA LA, Taiwan’s ADA Award for Emerging Architect, and 2011 Emerging Voices Award from the Architectural League in New York. Jenny Wu received a BA from Columbia University and a Master of Architecture from Harvard University Graduate School of Design. Dwayne Oyler received a B Arch from Kansas State University and a Master of Architecture from Harvard University Graduate School of Design. 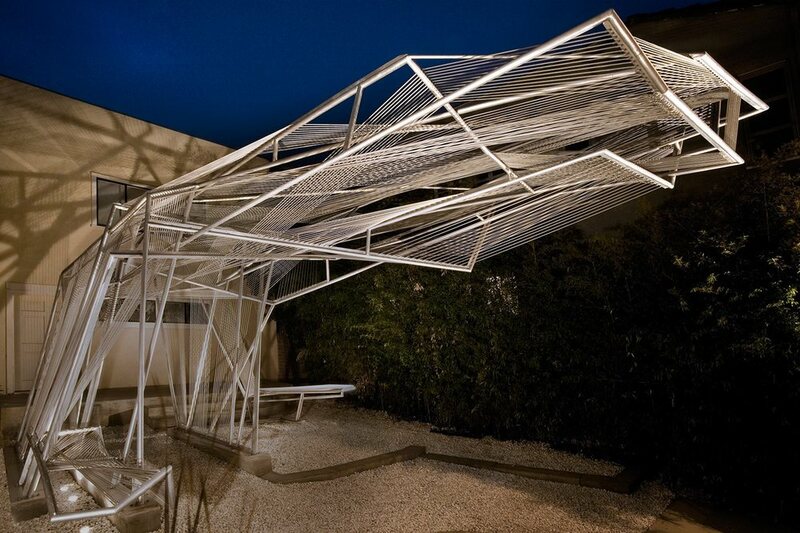 Their book, Pendulum Plane, was published in 2009 by the Los Angeles Forum for Architecture and Urban Design. Their second book, reALIze, was published in 2011. They have recently lectured at the Angewandte in Vienna, the University of Southern California, Texas Tech, Tamkang University, and Arizona University. 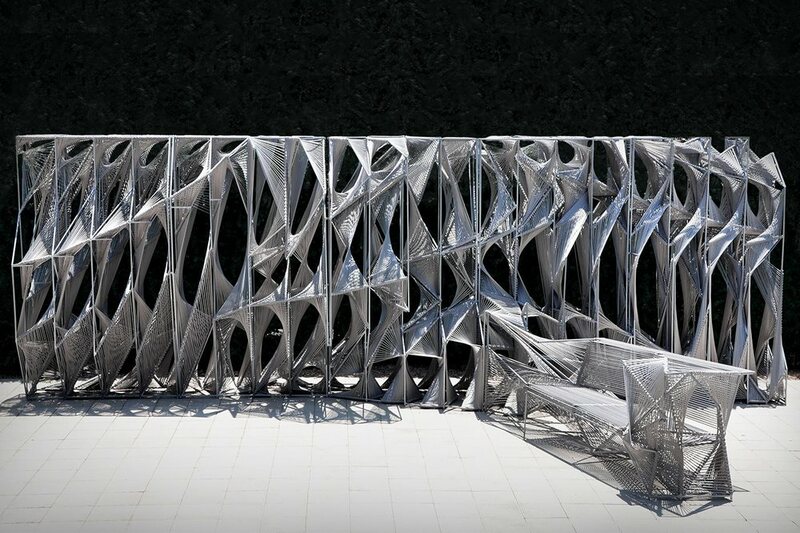 Oyler Wu's work is included in the permanent collection of the San Francisco Museum of Modern Art.